On Sunday, Lex and I had an Agility Trial. We did great. We passed our 3rd Advanced Standard class and earned our Advanced Agility Dog of Canada. We now have to move up to the Standard Master level class. We also passed our 3rd jumpers and have to go in the master jumpers class too. One of our other classes we were .67sec over the time. He was sniffing some and taking up time and it was just a little too much time. Ok I had trouble here with my photo. The top photo is untouched, but Lex has flaming eyes. The bottom one I gave a little try at fixing it but it looks like a cartoon. Crazy dog eyes in the flash. What am I to do. Let me know which one you like. Congratulations!!! I think it's so cool that you do this, too. 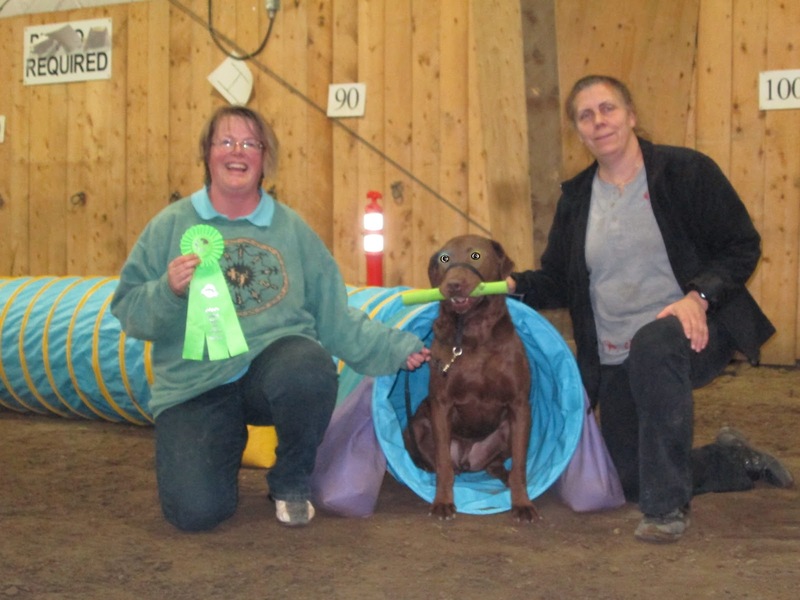 I would love to watch agility trials. Congrats!!! Always good to achieve a goal!! Keep up the good work.!! Congratulations! Well done Lex...two titles in one weekend, that is a fabulous effort. Good luck competing in your next class levels.